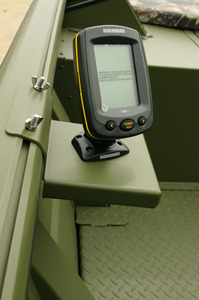 The Depth Finder Bracket is used for small depth finders not mounted to the console. This allows for moveability to keep your system near you whether in the bow or stern. Dimensions: 6" x 6" x 1 1/2"